We are on the home stretch, friends! I can’t believe we will have the envelope that says where we are headed in a little over three weeks. Today is the last day to submit your rank list, so our list is officially set in stone. This time last month, I was freaking out because Chris fell in love with a school I didn’t expect he would love. I am happy to say we put together his rank list without a single compromise, and we would both be over the moon if he got his first choice (but we would also be perfectly happy with his top five choices). I can’t tell you what a relief it is to feel completely at peace about the process. Will I be panicking on the days leading up to Match Day? Probably. The thought of moving across the country in a short time still seems daunting, and, at times, terrifying. Even so, I know where we go is God’s will and will be the right place for us. 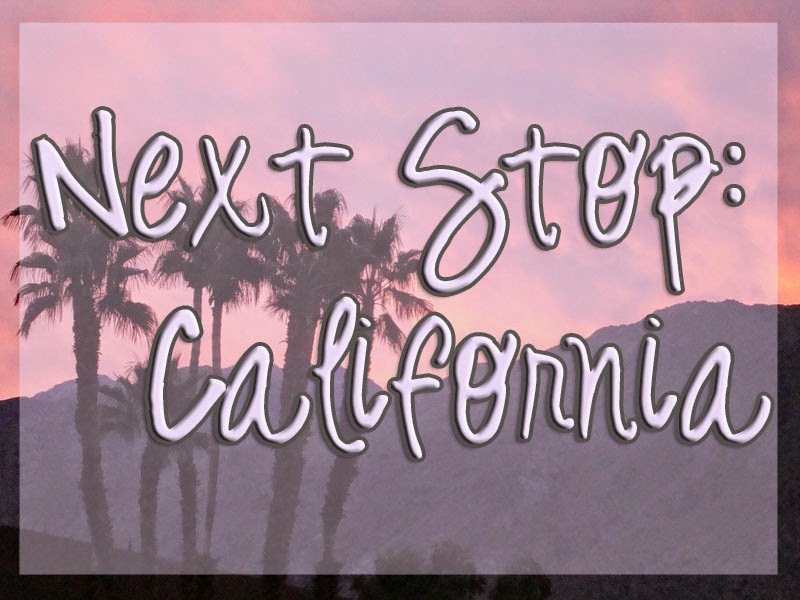 We are so excited the process is almost over, and soon enough, we will be heading to California to celebrate! Feeling lost? 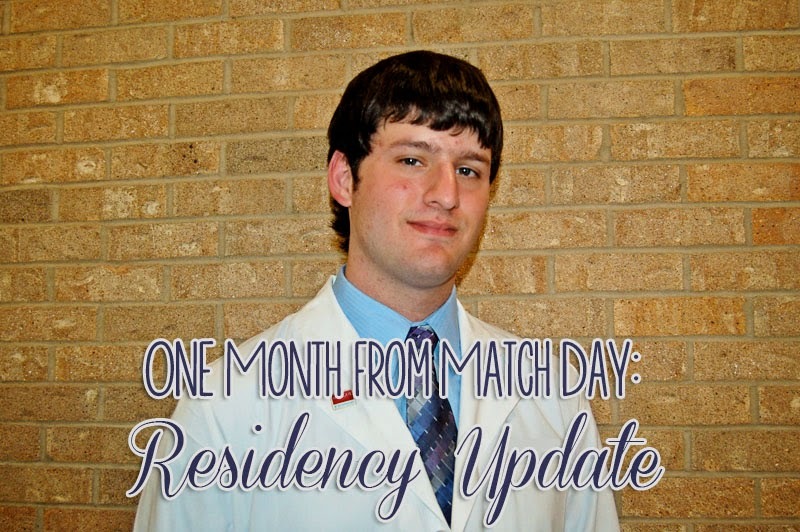 I outline the Match Day process here, and explain more about radiology residency here. 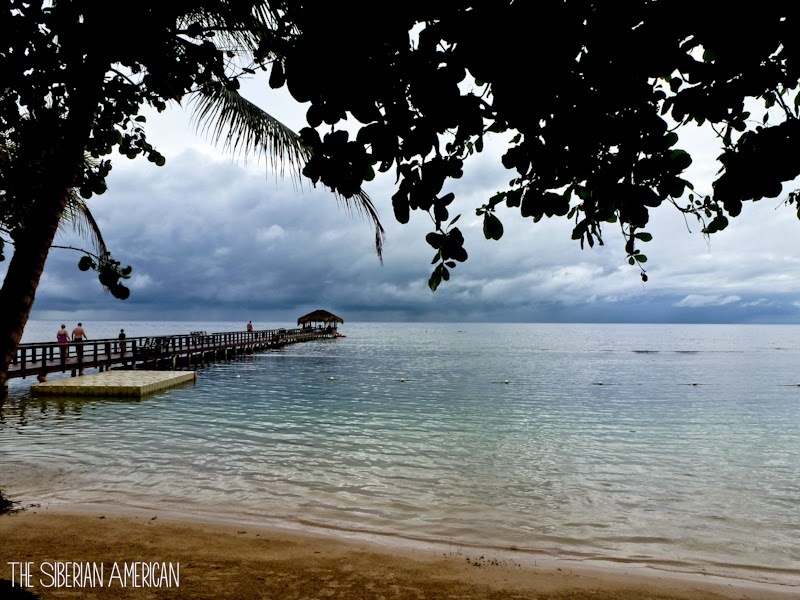 Maya Key in Roatan, Honduras was our first stop on our New Year’s Caribbean cruise. It also turned out to be my favorite shore excursion of the trip. We got off the Emerald Princess almost as soon as it docked and got on a bus that dropped us off at a boat, which would take us to the island. As soon as we got on the boat to Maya Key, the rain started coming down in sheets, and I started getting worried about what we were going to do on a beach in a downpour. Thankfully, the rain stopped shortly after the five-minute boat ride, and it turned out to be a beautiful day. 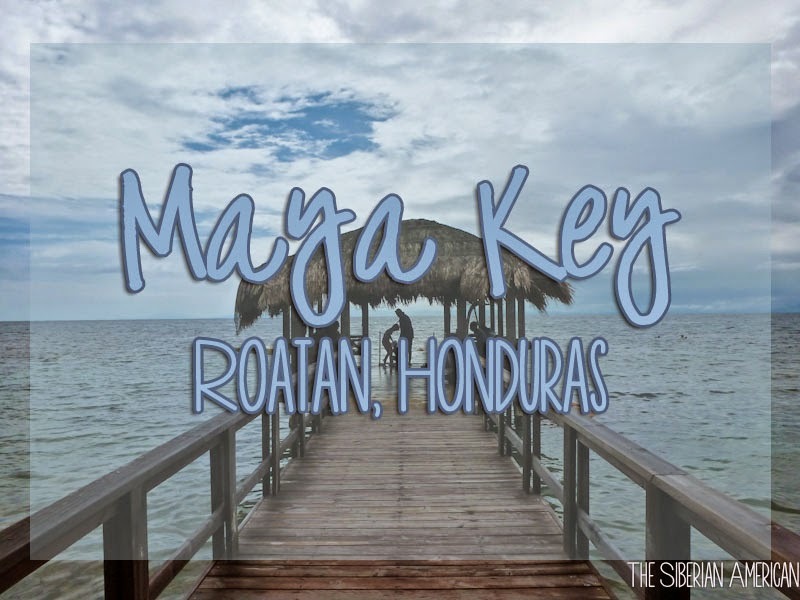 The best part of Maya Key is that there is so much to do. 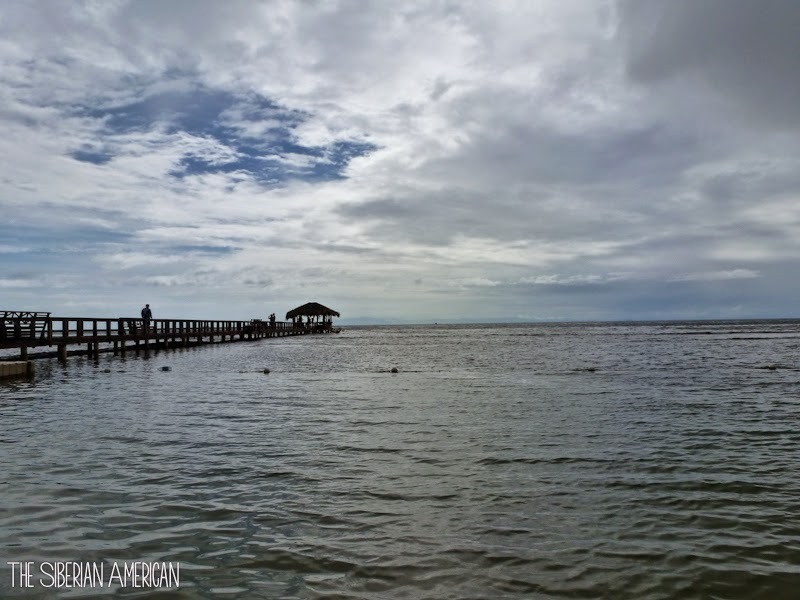 Other than the nice beach area, they had a pier perfect for snorkeling, an animal sanctuary where they led tours on how they rehabilitated the animals, a sea lion habitat, a replica of Mayan ruins with a museum, and a great gift shop. Chris loves animals, so of course, we had to check out the animal sanctuary first. 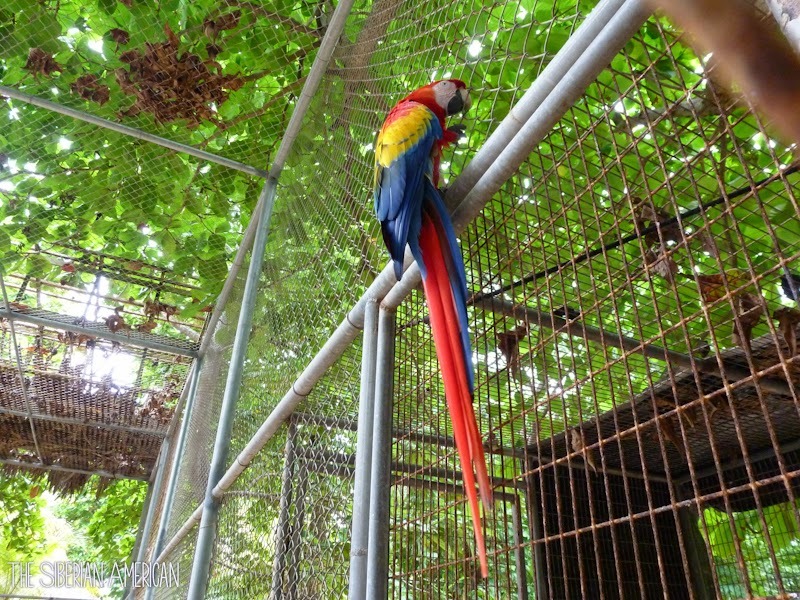 All of the animals were in the sanctuary for one of two reasons: they were hurt, or they were seized from people who owned them illegally. 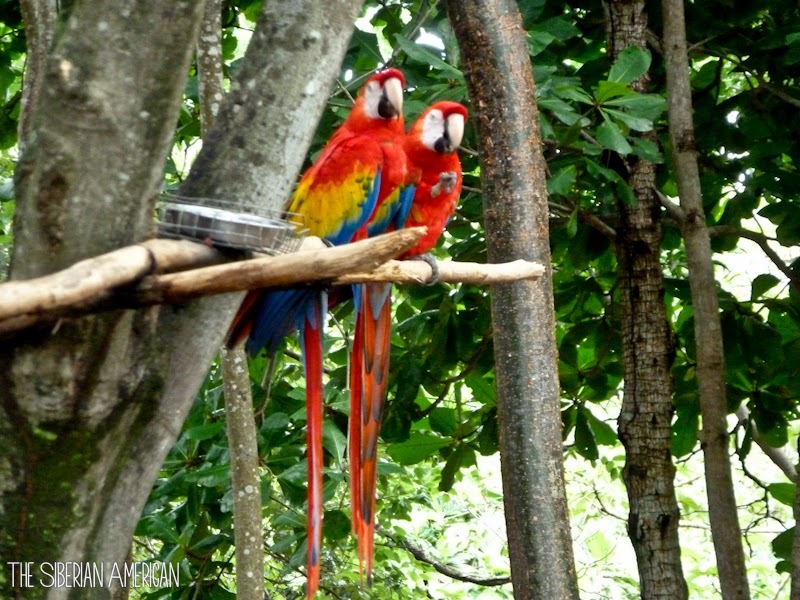 There were many colorful birds, several kinds of monkeys, alligators, and even two jaguars. After Chris got his fill of the animals, we headed to the snorkeling area. Maya Key was one of my favorite places to snorkel because when you get off the pier, you are not instantly in 100 feet deep water. Because I only snorkel once or twice a year, I often forget the correct breathing techniques. Maya Key gave me the opportunity to practice the techniques in shallow water where I could still see plenty of beautiful fish and sea urchins before heading to the deeper waters. Our excursion to Maya Key also included a delicious Caribbean lunch, featuring chicken, fish, rice, and plantain chips. After lunch, Chris and I explored the Mayan ruins, visited the sea lions, and relaxed on the beach. Honestly, I would go on this cruise again just to visit Maya Key (though we also want to try Little French Key). My only complaint is that I wish we could have stayed longer! Match Day is exactly one month from today! In four weeks, we will finally know where we are going to be for the next five years of our lives. I can’t believe the wait is almost over, and that it’s time for me to start looking for a Match Day dress! Speaking of Match Day, our rank lists are due next week. It is crazy to think everything is about to be set in stone. I will share more about our current thoughts in a residency update post next week. We booked a medical school graduation trip for the hubby! After bouncing around a bunch of ideas, we finally decided on a destination. A few days after Match Day, we are flying to San Diego and doing a road trip through California. We haven’t set the places we are visiting in stone yet, but current thoughts include the Antelope Valley Poppy Reserve, Big Sur, Heart Castle, Monterey, San Luis Obispo, Muir Woods, Napa or Sonoma Valley, and San Francisco. Chris and I have both been to California many times separately, but we are so excited to go together! San Diego is a new city for us, so we are both eager to explore it. If any of y’all have any tips on good restaurants and places to see, send them my way! After not spending any money on myself in January, I have been able to keep it up halfway through February! Sadly, that's about to change because I want a Match Day dress, medical school graduation dress, and a few new items for California. My blog has grown quite a bit lately, so I am finally comfortable asking if anyone wants to guest post for me while we are gone. If you are interested, send me an e-mail! 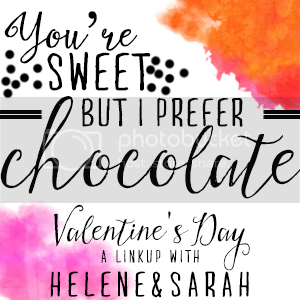 After a so-so January box, I was eager to get the February PopSugar Must Have Box. 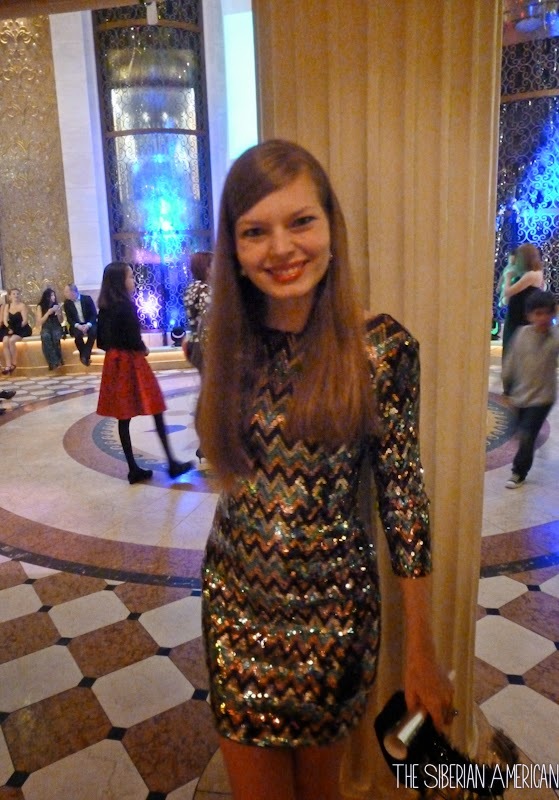 With a theme like pampering, it didn’t disappoint. Tarte Cosmetics Amazonian Clay 12-Hour Blush in True Love ($26): This Tarte blush costs more than I paid for the PopSugar box, and it made the box worth it for me right away. I have wanted to try it forever, and it didn’t disappoint. It is a beautiful, natural color that isn’t too heavy. I am definitely going to purchase more colors. ACME Party Box Company Bamboo Heart Cutting Board & Cheese Knife ($36): We have a lot of cutting boards, but this one is so cute. I think it is a fun gift idea, especially with the cheese knife included. U.S. Apothecary Rose Water Bubble Bath ($30): I love the fancy look of this bottle though I honestly wouldn’t spend $30 on bubble bath. I do like that it is 98 percent natural and that it will look nice in my bathroom. I won’t be using it too often because I am not a huge fan of rose-scented items. Bauble Bar Mini Arrow Pendant Necklace (Silver) ($32): This necklace came in both gold and silver, and I’m glad I got silver. That being said, it is tiny. I would have liked for it to be a little larger, but I will definitely wear it when I’m going for a dainty look. Chuao Chocolatier Ravishing Rocky Road Bar ($6): I think I have mentioned this before, but I usually give my PopSugar food to Chris, so that he can also have something fun from my box. We have had Chuaco bars before and really liked them. The rocky road flavor looks really good. Sally Beauty FingerPaints Nail Color in Brushstroke Brush ($5.50): This nail polish claims you only need one coat, but I am a little skeptical since I received a light pink shade. I will definitely be trying it soon. Figs & Rouge 100% Natural Balm (Lemon Berry) ($8): I have tried this balm before from an Ipsy bag, but I really liked it! It is very moisturizing, and the lemon berry flavor smells great. I came up with a total of $137.50 for the February PopSugar Must Have Box. I really liked the variety of items in this box and thought it was worth the price I paid. 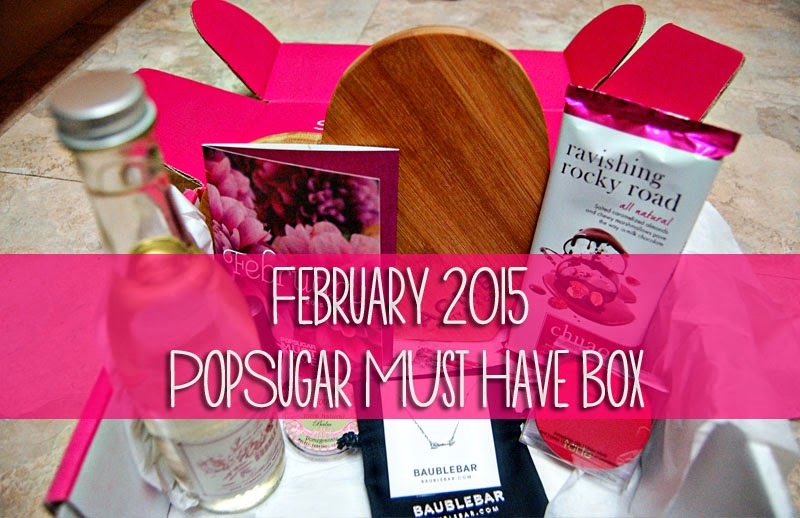 What do you think of the February 2015 PopSugar Must Have Box? What is your favorite item? 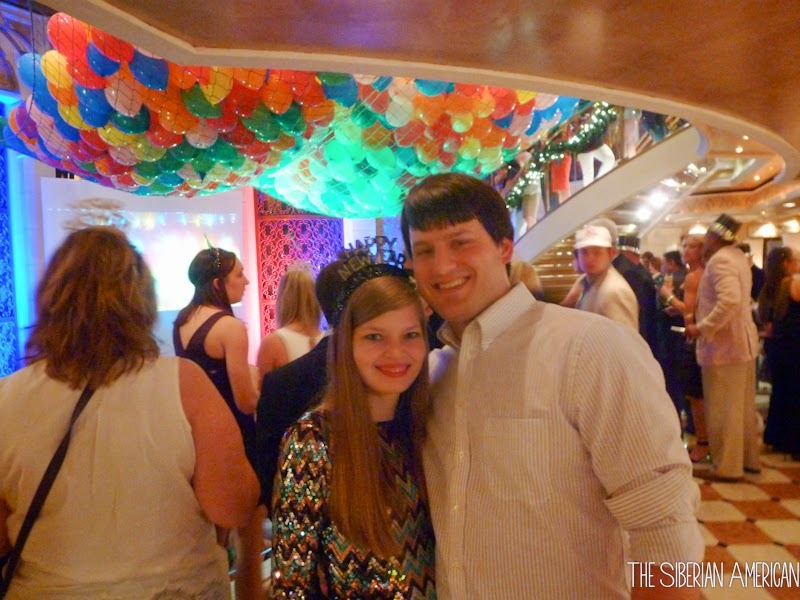 It’s about time that I start posting about our New Year’s Caribbean Cruise. After months filled with residency interviews, this was a much-needed trip. It was our first time not having to fly somewhere for our cruise, which made it a lot easier to go over a holiday. 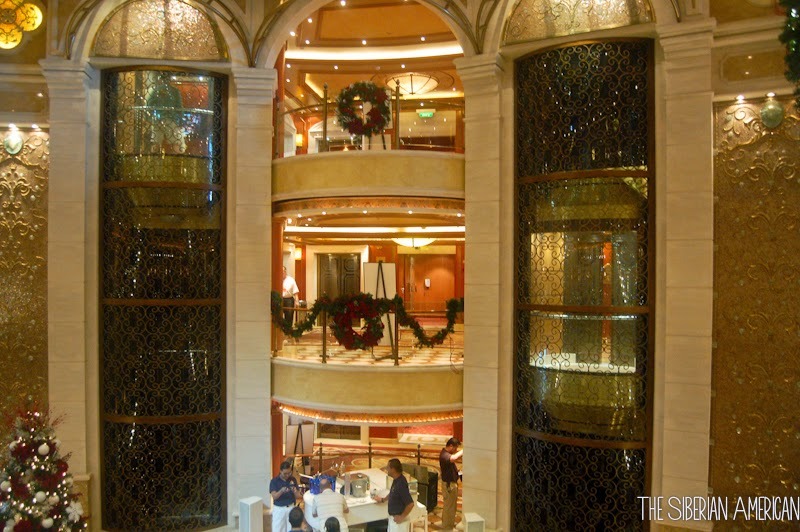 We cruised on the Emerald Princess out of Houston. 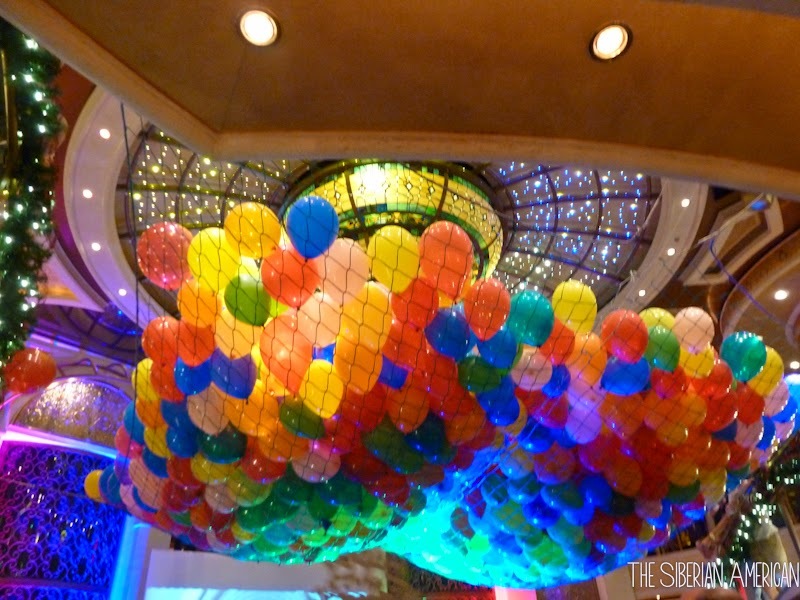 It was my second time on a Princess cruise, and I had forgotten how much I like Princess. 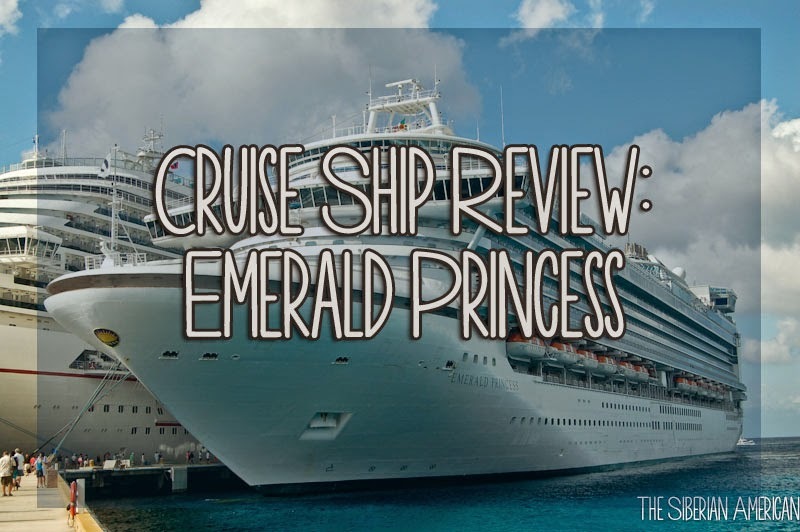 The Emerald Princess was, in one word, elegant. 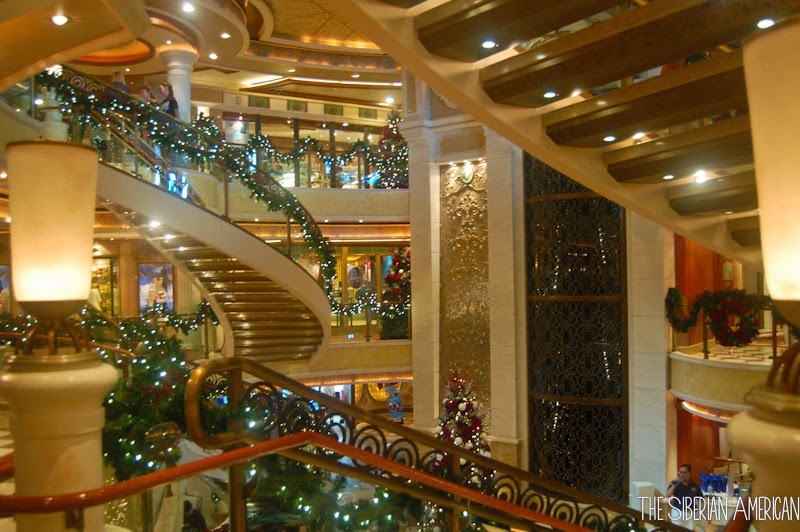 The ship was still beautifully decorated for Christmas, especially the grand staircase. 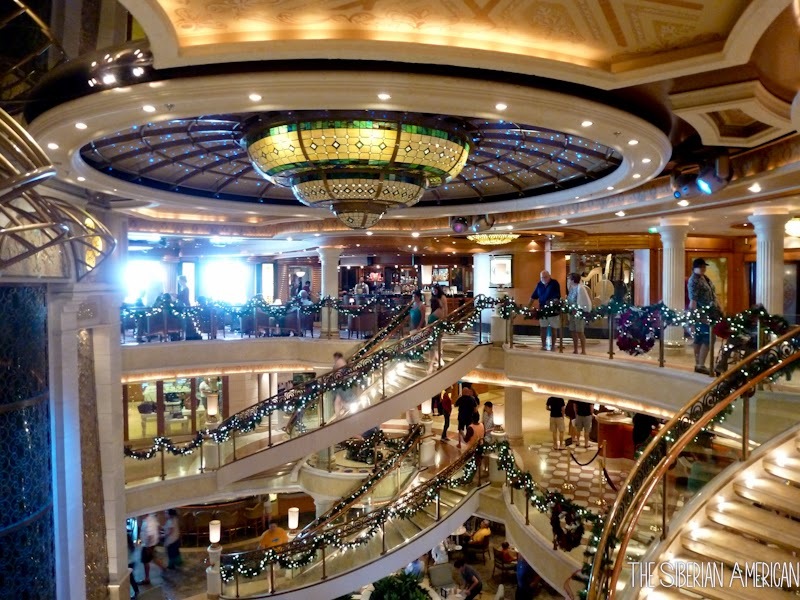 If you ever get a chance to cruise during Christmas or New Year’s Eve, I would recommend it. Princess really went all out to help us celebrate the holidays. If you have ever looked at cruises (or even airline tickets) during the holiday season, you know that prices are more than twice what they are during another time of the year. We got an inside room and thought it was comfortable and spacious. Our only complaint was that there weren’t any pullout drawers to store clothing (which Royal Caribbean inside rooms have). My in-laws had a suite, so we could visit their balcony. Since we went on a Royal Caribbean cruise in October, I couldn’t help but compare the food on Princess to the food on Royal. The food on Princess easily won. I really liked the meals in the dining room, especially the desserts. Princess has created some specially crafted chocolate desserts called “Chocolate Journeys” for its 50th anniversary…and I still can’t stop talking about the Chocolate Journey I had. 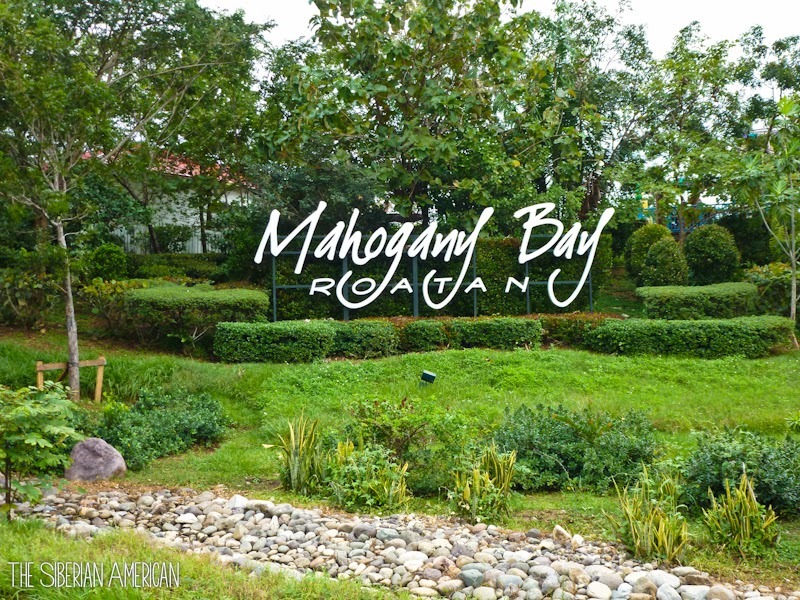 I keep saying I want to go on another Princess cruise in 2015 just to have another Chocolate Journey. What can I say? I love my chocolate. 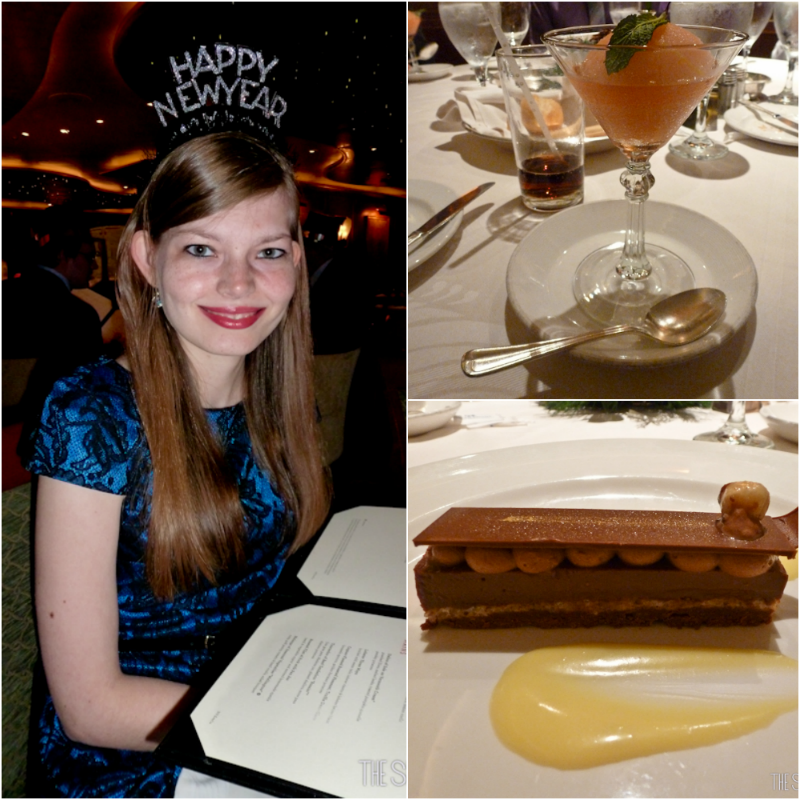 Princess did a special meal for New Year’s Eve, complete with pink champagne sorbet as a palette cleanser. 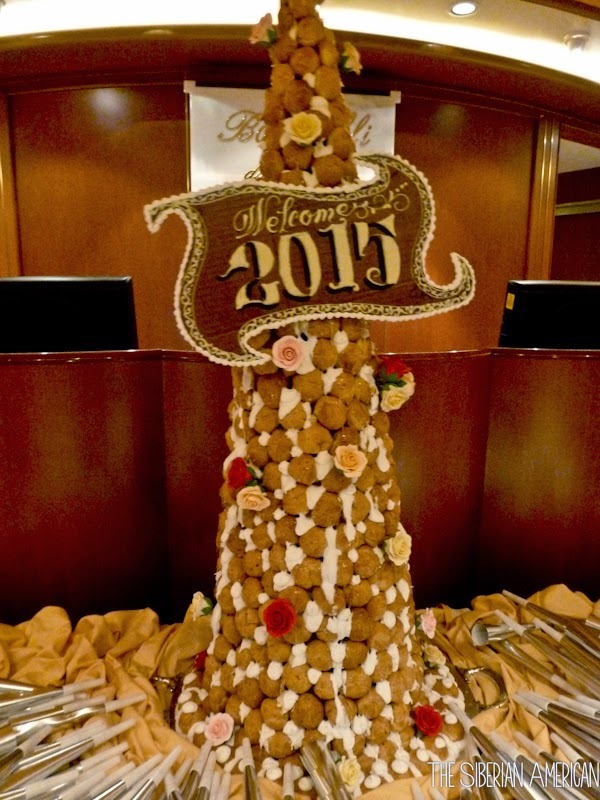 It was a fun meal, and a great way to kick off our celebrations! 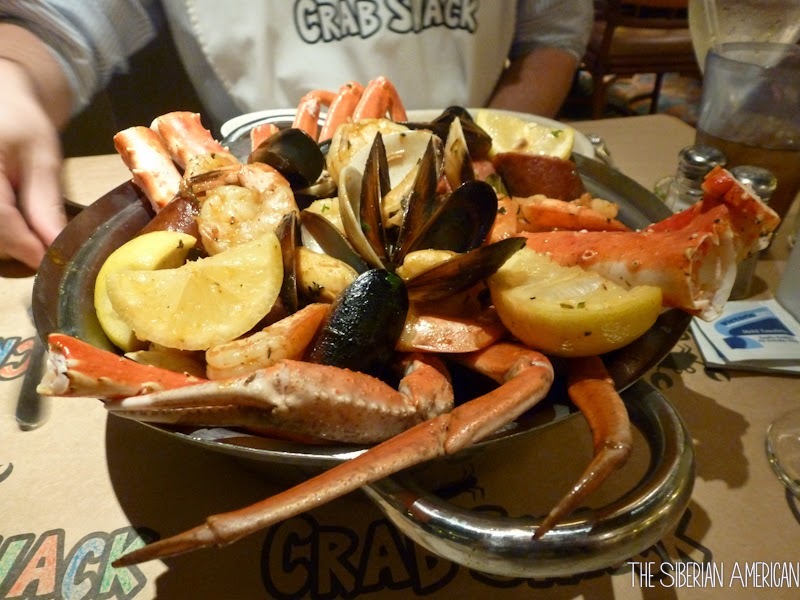 Chris and I went to a specialty restaurant called The Crab Shack one night to stuff our faces (literally, it was so much food!). 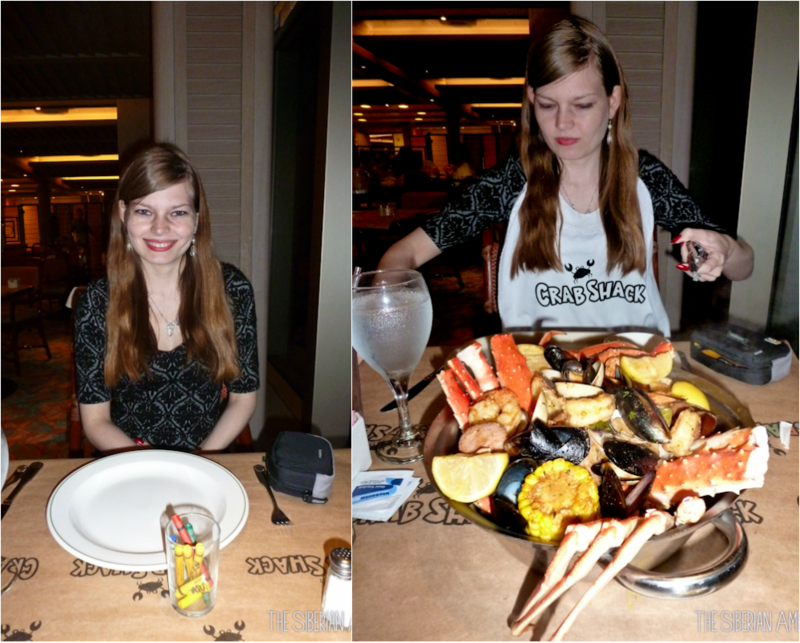 I don’t think I have mentioned it on the blog before, but if I had to pick a favorite food, it would be crab. I get it every chance I can, so I was excited to try out the Crab Shack. I thought the Alaskan king crab wasn’t very good, but the snow crab bucket more than made up for it. Chris also got oysters, shrimp, and clams, so we left the restaurant feeling like we had eaten enough for a week. I was impressed with the entertainment on the Emerald Princess. 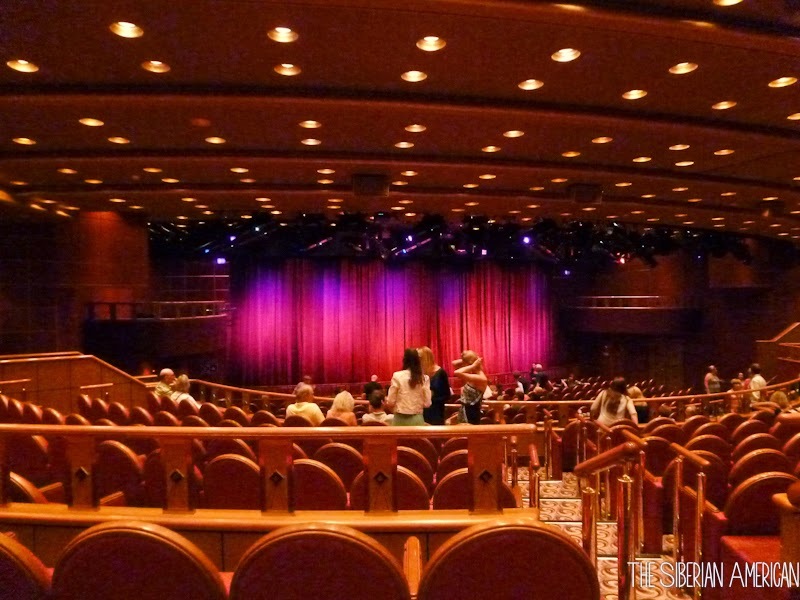 Like I mentioned in my Brilliance of the Seas review, we aren’t big fans of the singing and dancing shows, but this ship had so much more to offer. The magician was impressive, especially with his slight of hand tricks. The comedians were great, and I really enjoyed the kitchen galley tour. 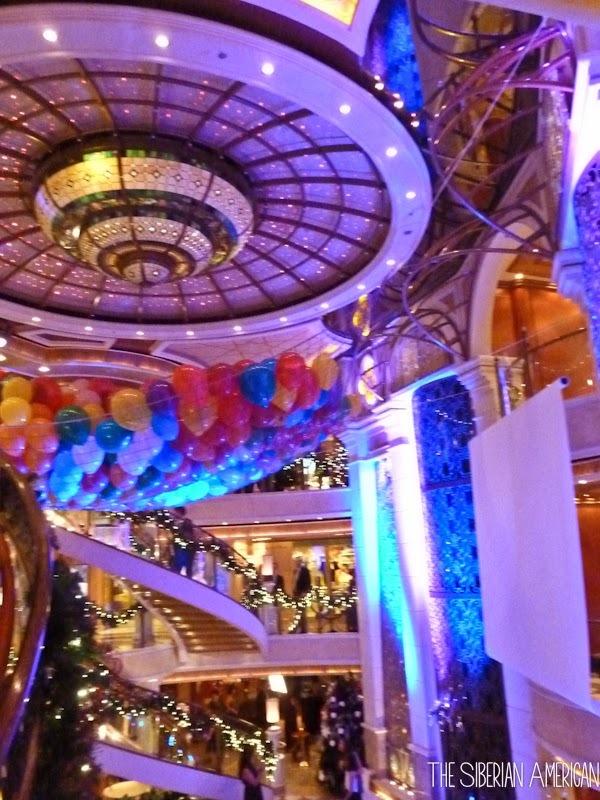 For New Year's Eve, Princess did "the largest balloon drop at sea," which was really fun. 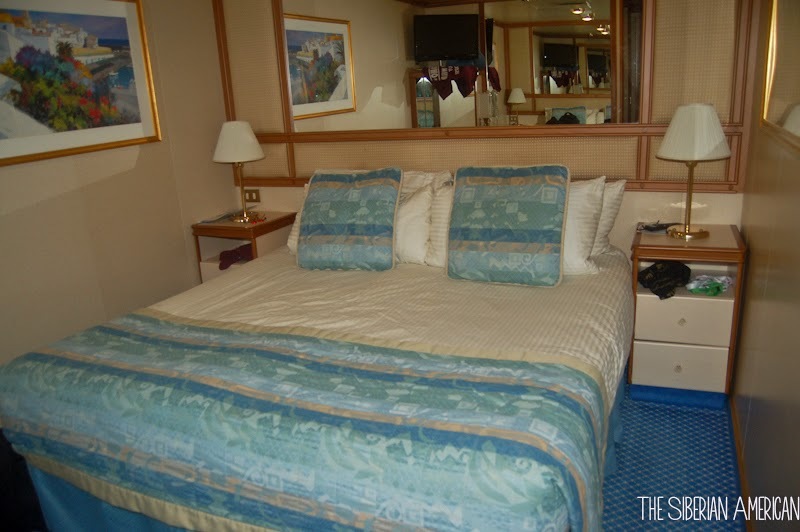 Though we have cruised the majority of our cruises on Royal Caribbean, we wouldn’t hesitate to cruise on Princess again. Next, I will be sharing our fun excursions at each port. 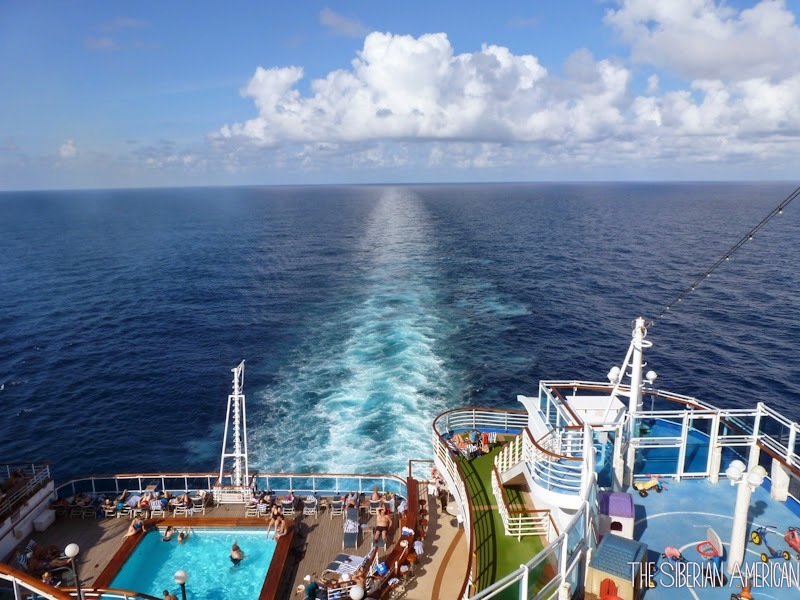 PS-I have had several people who have never cruised before e-mail me questions (which is fun! 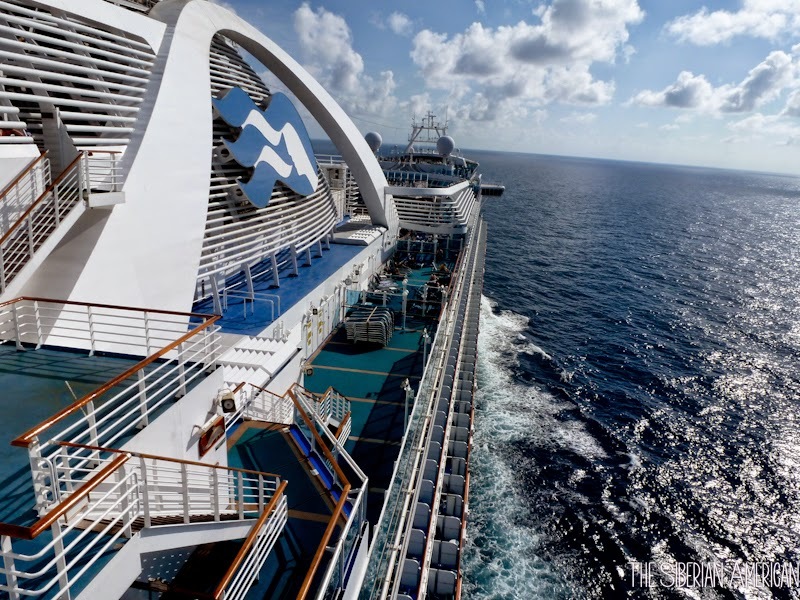 I love answering your questions), so I am considering doing a first-time cruisers FAQs post. If you have any questions, send them my way, and I will include them. I mentioned it on my confessions, but I am so excited for a three-day weekend! 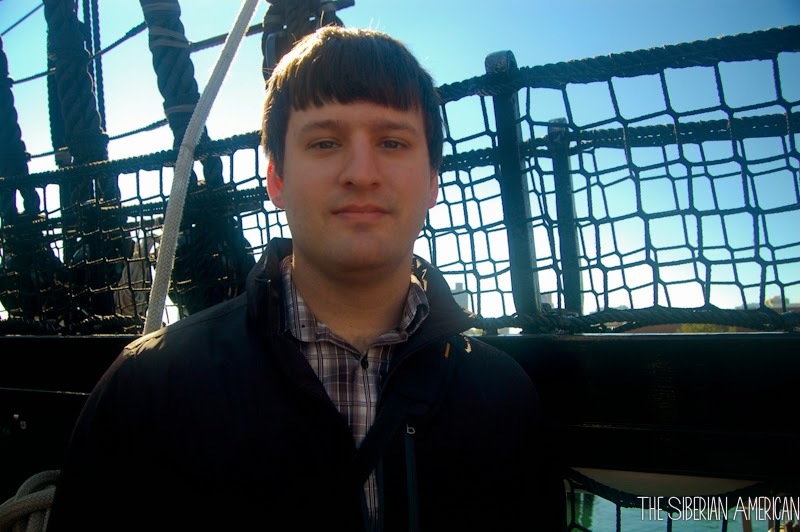 Sadly, Chris has a rotation, so he won’t be home, but I am looking forward to a day to organize and work on the blog. Chris and I don’t do anything big for Valentine’s Day, but since we have been so busy lately, we decided we would spend this entire weekend together, just the two of us (and Sky!). He is about to start a hard rotation that includes weekends, so I am eager to get all the time I can with him. I love this time of each month because all of my subscription boxes are arriving. I just got my February PopSugar Must Have Box, and I can't wait to share it next week! I am in desperate need of some black sandals. I know that sounds funny in the middle of February, but it is supposed to be 73 tomorrow (and 43 on Sunday. Thanks, Texas! ), and my black sandals are literally falling apart. I have been searching for replacements since last summer, so if anyone finds anything cute, please send it my way! 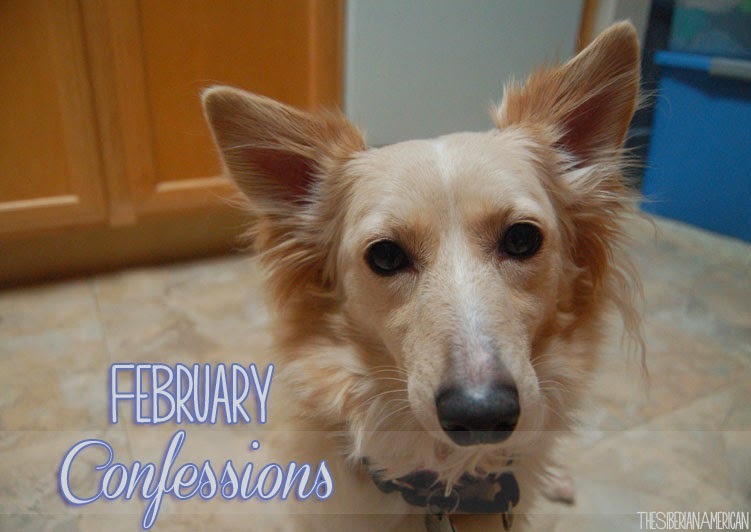 It has been several months since I have written a confessions post, so I thought it would be fun to share some thoughts today. 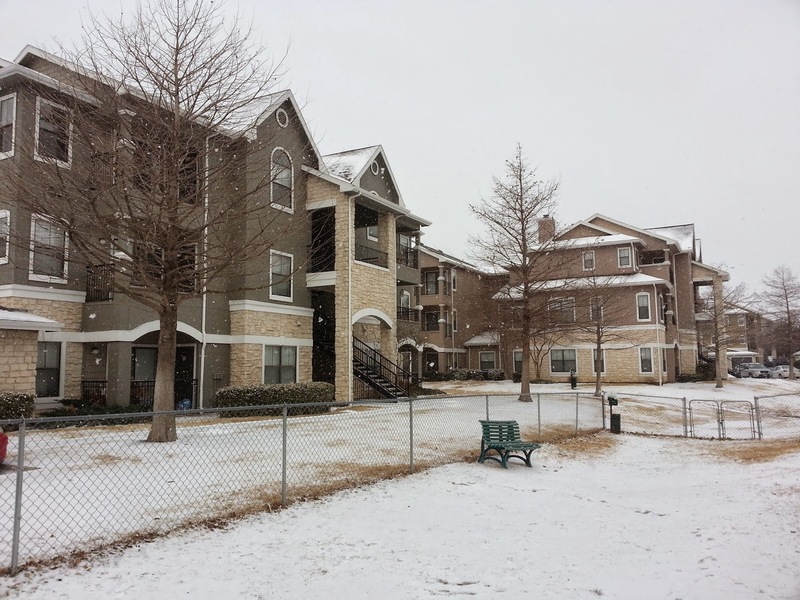 I confess…this Texas weather is making me crazy. It was 30 last week, and now it has been 75 for the past few days. I have a small closet, and I have to keep both winter clothes and summer clothes out right now. I confess…I haven’t been feeling well for over a month, but I am slowly recovering. It’s been amazing to feel decent the last few days and not want to head to bed the second I get home. 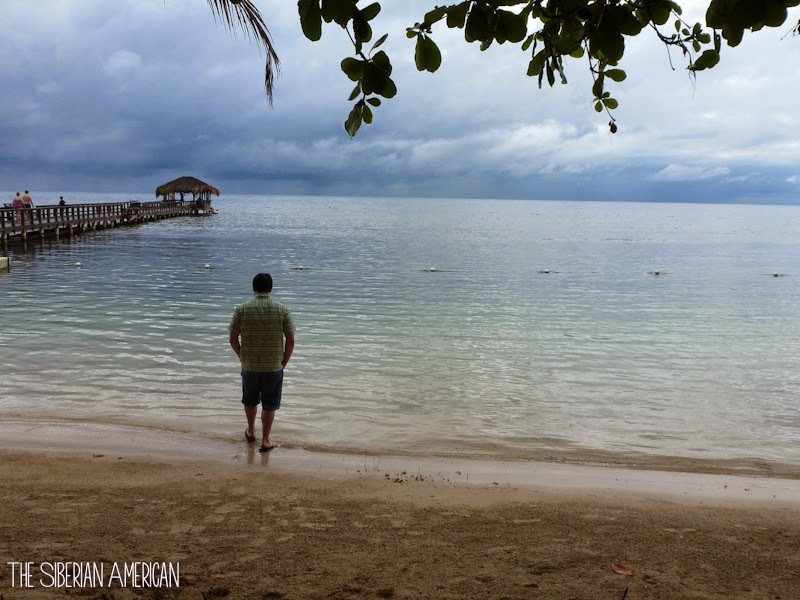 I confess…I have so much I want to say about residency, but I can’t. I am so ready to share more details after March 20! I confess…I haven’t planned much of our (possible) road trip (see confession two). We haven’t set anything in stone, and I am feeling anxious because we want to go in a little over a month. I confess…I am so excited to have Presidents’ Day off next week! We get Presidents’ Day off instead of Martin Luther King, Jr. Day, and it is so nice to get a day to relax in February. I confess…I only read three books in January, and I haven’t even finished one in February yet. Hopefully, I will be more motivated to read soon! 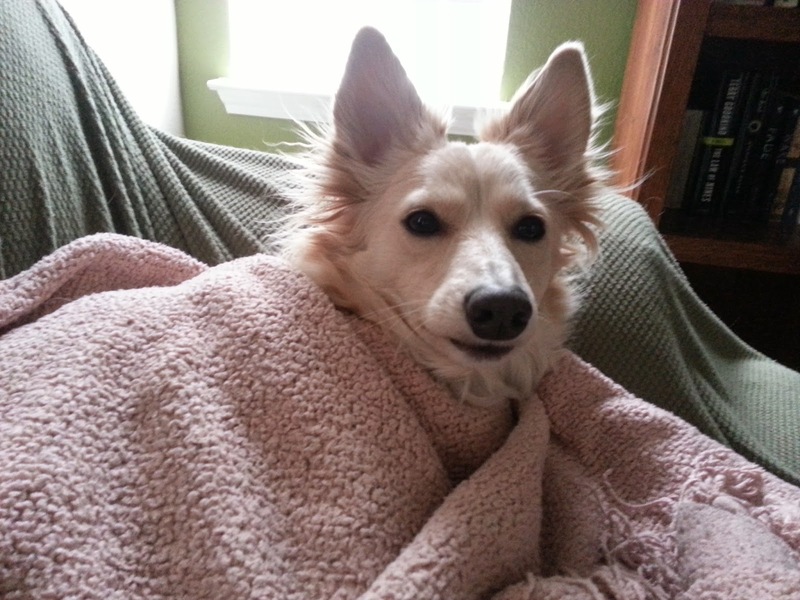 I confess...Our dog has been waking us up multiple times to go to the bathroom. I don't know why she needs to do that all of a sudden, but we are definitely missing our sleep. Oh well, it's practice for kids, right? That’s all I have for now. Hope you are having a wonderful Wednesday! 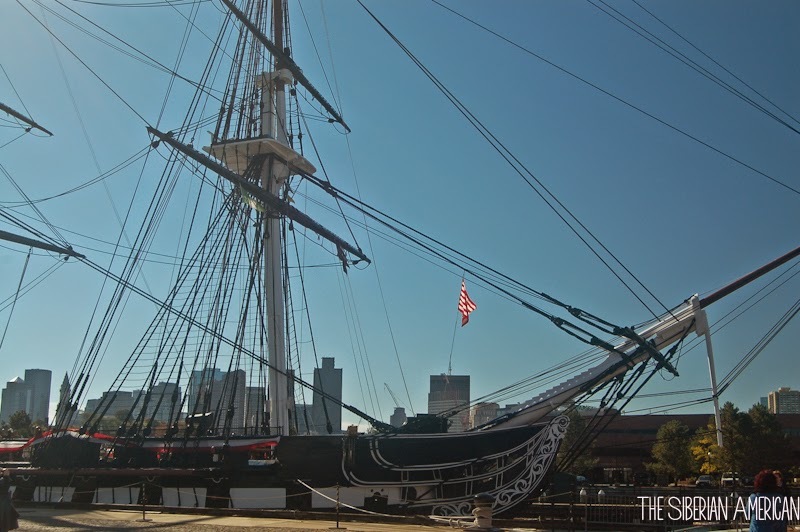 When we visited Boston in the fall before our fall foliage cruise, we hadn’t planned on visiting the USS Constitution. Our tour guide on the trolley tour the day before mentioned the USS Constitution was going into a three-year dry dock on March 20, so we decided it was a good time to go (especially since it’s a free tour!). After exploring Boston in the rain the day before, we were excited for a gorgeous sunny day (though it made it difficult to take good photos). It was so interesting to learn about the history of the ship. 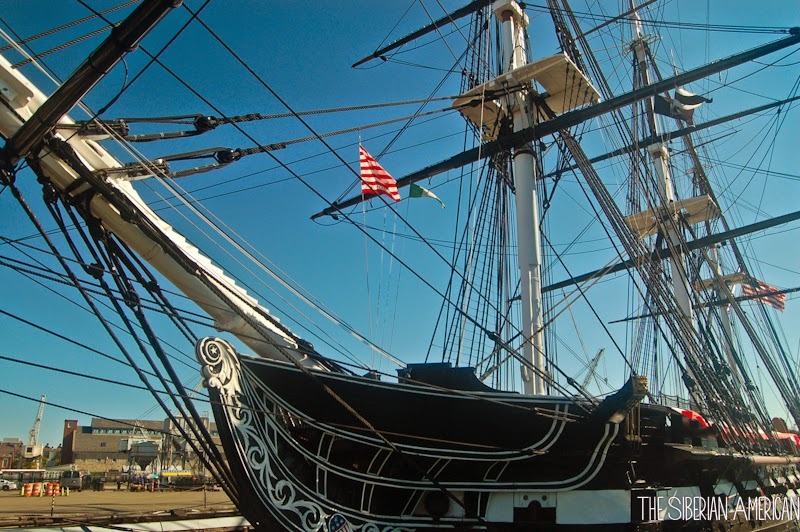 The USS Constitution is the world’s oldest commissioned naval vessel afloat and was named by President George Washington. 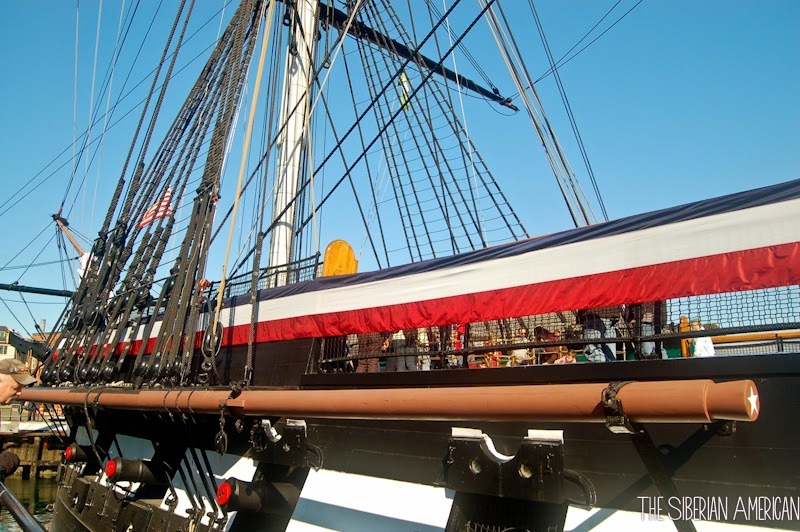 The ship is most famous for the War of 1812, where gained the nickname “Old Ironsides.” I was surprised to learn that the USS Constitution had never lost a battle. There were US Navy personnel on board to maintain ship and answer our questions. We enjoyed exploring and learning details about the living conditions and the process required to load the cannons. 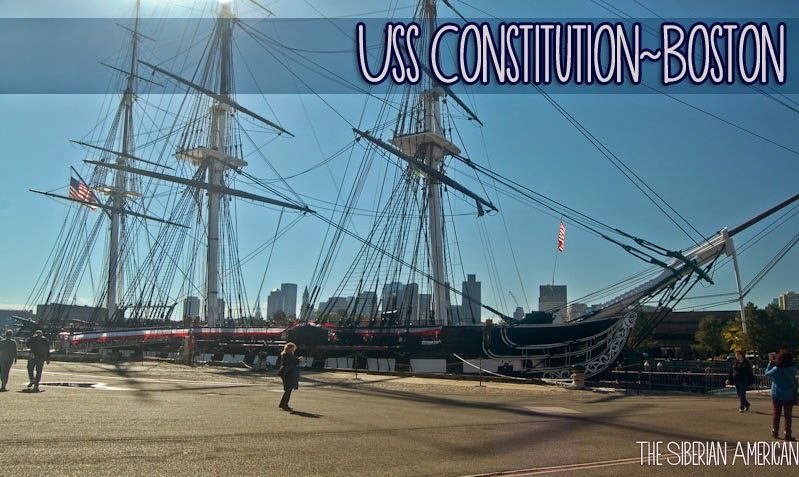 After visiting the ship, we headed over to the USS Constitution museum. The museum had detailed information laying out the history of the USS Constitution’s battles and lots of artifacts and diagrams explaining how various things on the ship worked. It also featured great interactive games for kids. 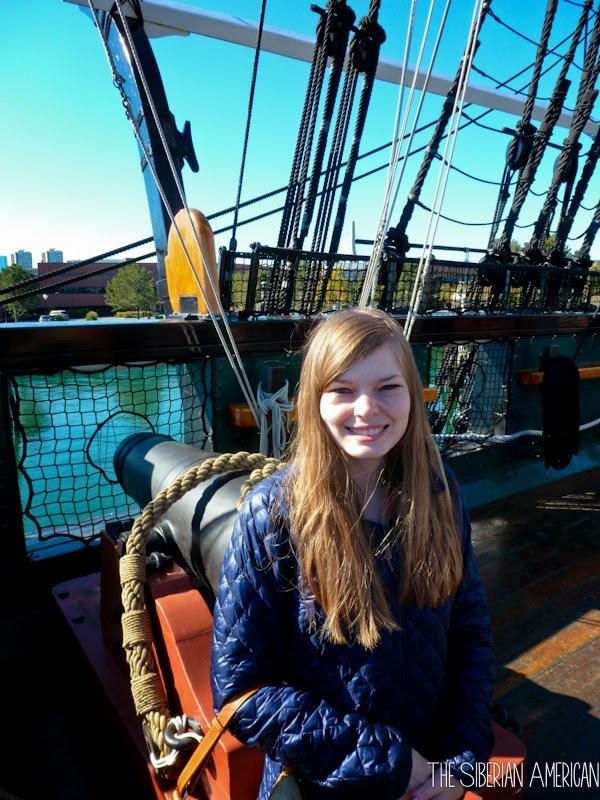 Honestly, I wouldn’t have thought I would be interested in visiting a battleship, but learning the history of the USS Constitution was fascinating.